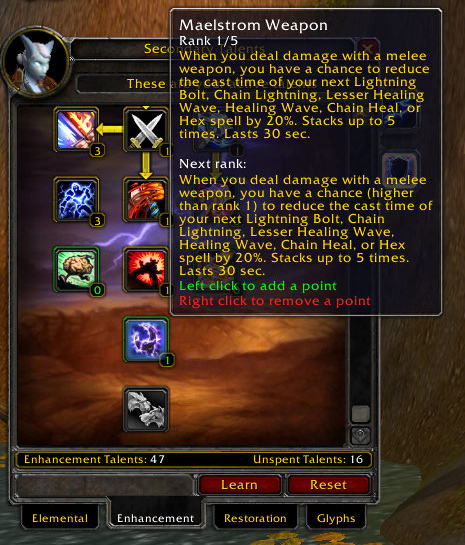 The first time I saw it was just before the WotLK went live. I was running around Shattrah and out of the corner of my eye I spotted it. A table loaded with food for the refugees and the hungry. Then came the call to head out to the snowy wastes of Northrend and I forgot about it for a while. A trip to the Lower City in search of a recipe reminded me some months later but no matter how many times I rode back and forth I couldn’t find it. Thinking it was perhaps a figment of my imagination or maybe just something they added for the run up to the expansion I left, slightly saddened. I next returned the Lower City on my druid a few weeks ago, to pick up the heroic key from the reputation vendor. Much to my surprise, there was the fabled kitchen once again. Still handing out food to the lost and starving. This time I took a screenshot as tangible proof. Of course my trip back a few days later yielded nothing but a ripped tarpaulin and empty stand (or at least I think that’s where it goes) but it exists, even if seems to vanish for days on end. Just come back from a long weekend trip down south to see family and take them their Christmas presents. Now because sitting in car for 6 hours is nothing but boring we stopped a couple of times. 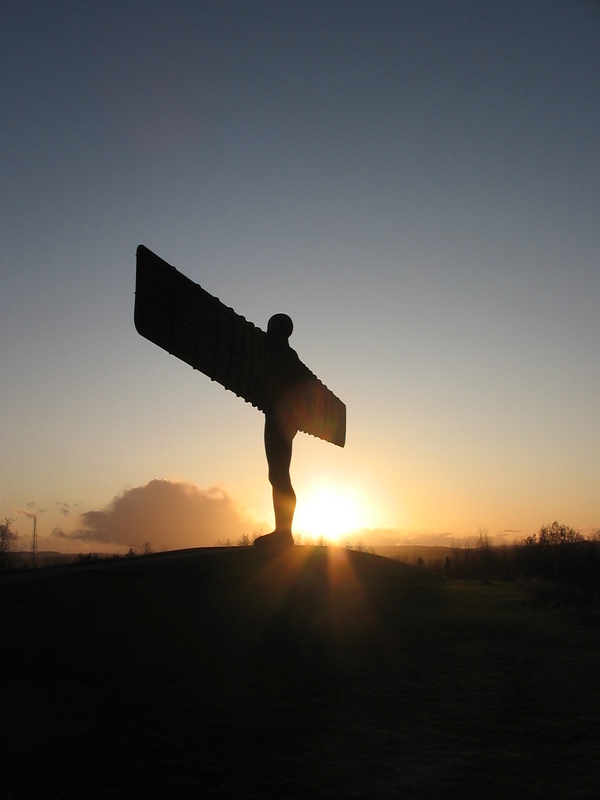 First in Edinburgh for a late breakfast, then in Alnwick for a quick run around the Castle gardens and finally in Newcastle for a closer look at the Angel himself. Ignoring the fact that the sun setting at 4pm is horrible, I love the fact that this photograph completely manages to hide the fact that a freezing icy wind was blowing straight across the hillside. I have mixed feelings about the statue itself, I can’t help but feel the wings should be more rounded and softer but on the whole, seeing up close with the sun behind it, it was almost beautiful. 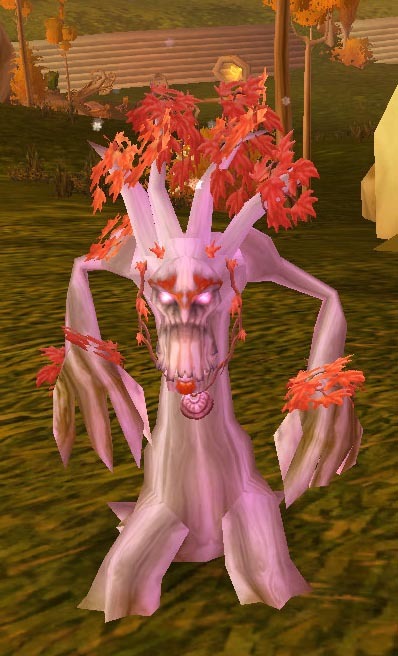 Back on WoW, I logged on to find a cute little whelping from Blizzard. The deep breath animation is adorable if somewhat pathetic. Would have been so much more fun if you could incinerate lowbies with it. 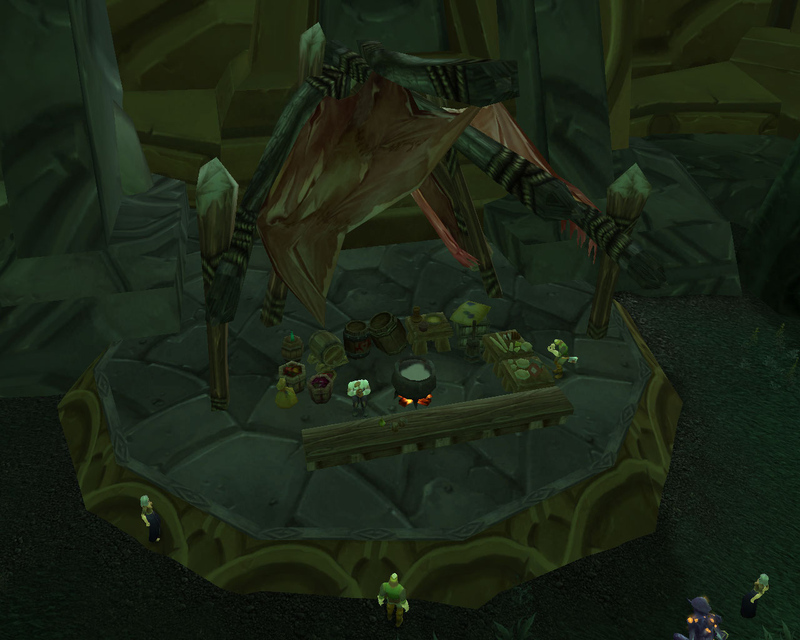 Then there is the new Pilgrim’s Bounty festival. Food, a reason to visit old familiar places and more clothes to fill up my bags. The perfect remedy for a spot of WoW grumpiness. Plus, shooting rogues…. how awesome is that. 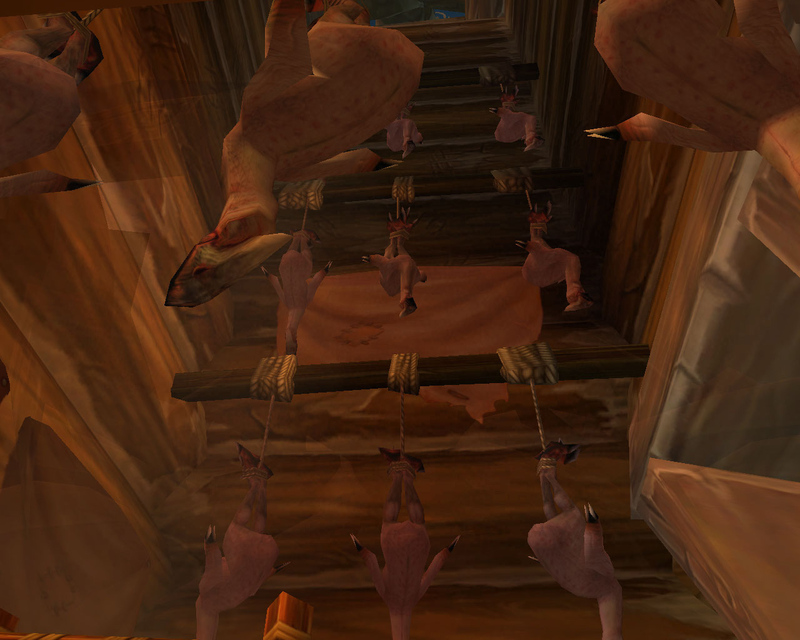 No plainstriders in Northrend, here’s why! The evil werewolves in Grizzly Hills ate them. I’m suffering a bit from WoW related ennui at the moment but I’m not 100 percent sure why. I have goals, lots of goals I want to achieve in game but when it actually comes to logging to do them I end up hanging around chatting to people or bouncing quietly in a corner. My druid and shaman are both lv 72 with lots of shiny BoA accessories but despite having bought them winter flying, epic flying and dual spec, they are hanging out in the beergarden. Which other than telling me that money in WoW is far too easily earnt isn’t really helpful. My baby warrior is a level away from a dirty noisy mechostrider. I’m working on my 100 mount achievement. My guild got three glowing pink flying bird things from Kael in TBC, all three people have now quit or gone casual. 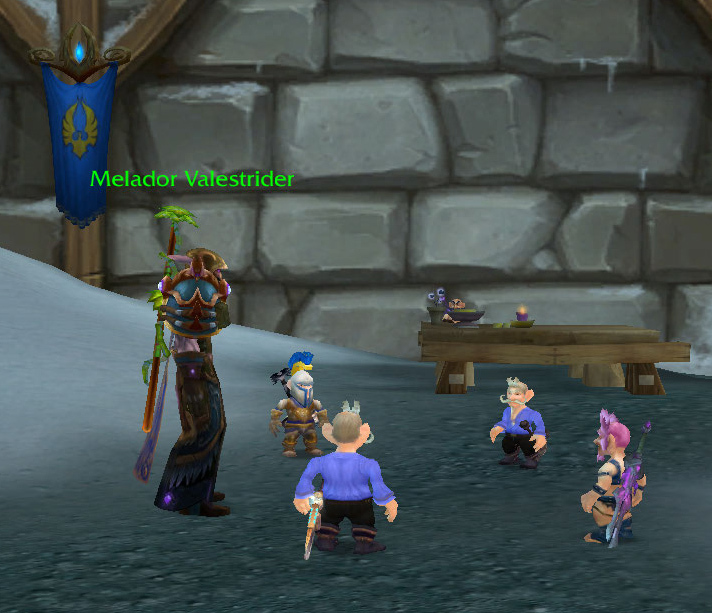 The only time I’ve seen a hawkstrider drop in Magister’s Terrace, I was outrolled by 1… its owner is now casual. Dwelling on lost rolls leads to bitterness, especially since Kael is now denying ever having a hawkstider and refusing to drop another one. I think part of the problem is the gated raid system with a set number of tries that Blizzard seems to feel is the way forward. Now, my server is at times anything but stable. Its one of the biggest in the EU I believe and come raid time, especially on a Wednesday/Thursday the latency spirals. We lost three tries on Anub’arak yesterday for example due to all kinds of weird lag. Spikes standing still whilst killing someone on the other side of the room being the best example. It shouldn’t be a “Tribute to Mad Skill” but a “Tribute to Server Stability”. The thought of having four new encounters to beat then having to wait, whilst still doing all the stuff we currently do because there isn’t enough new stuff to go around doesn’t create a feeling of excitement in my bosom. Yes, maybe I’m being extra pessimistic as we don’t know what the live versions of the normal instance will be like but ToC doesn’t inspire confidence. I’m sure everyone who actually reads the patch notes properly already knew it existed, but for everyone else… its there and its awesome. You have to enable it for every character individually but it means no more drunken disasters whilst trying to respec alts at three in the morning and no more accidents whilst rushing to respec whilst a raid are waiting for you. 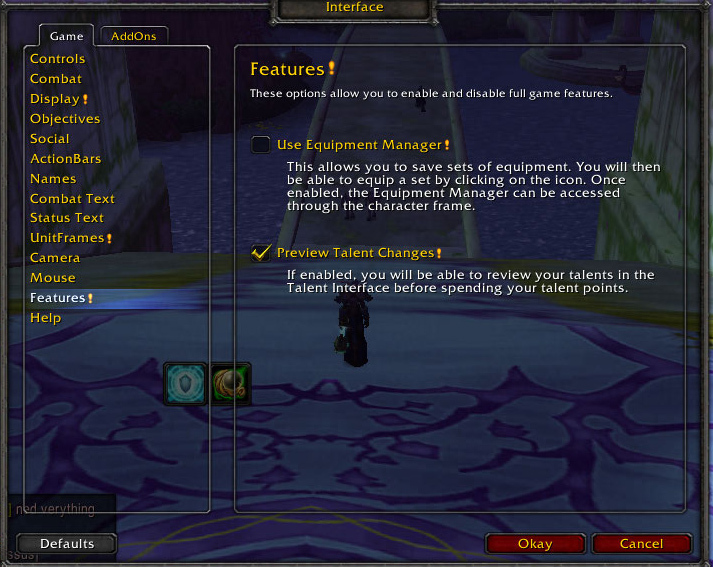 You simply plug in the talents you want, just like on a talent calculator switching things around as you fancy. When you’re done, you hit the “learn” button which then locks the chosen talents into place. In my opinion, its one of the best recent additions to the game. Especially for people who either respec beyond their dual specs a lot or for people like me who have far too many alts. Icecrown itself. The fight that involves healing a boss in particular. Although I love the look of some of the new bosses, specifically Queen Lana’thel and Festergut (his colours are nicer than Rotgut’s). All in all, I think the fights for the most part sound interesting and dynamic. A big improvement on the current tier of raid content. My hunter intends discovering a BM spec and then taming the new spirit beast. One of my first pets was black bear called Jasper and now I’m going to reclaim a dead ghostly version of him. The new looking group thingie. Right now, you go “LF 3 dps” in trade and get snowed under with whispers. Then its trying to figure out a fair way to pick people. Do you take the first three people to whisper even though they are usually all the same class. Do you fuss about achievements, in my opinion no but there is always some snotty dpser who complains about the fact that Mr Mage is wearing greens and hasn’t completed normal let alone heroic. So this new system is the answer to my prayers. Join up and let them do all the work and get rewards too. Can’t wait. Plus the Pug for pugging has to be the most awesome concept ever invented. The Fishing Derby. I want the boots that transport you to the best drinking establishment in the Eastern Kingdoms, the Salty Sailor Tavern. 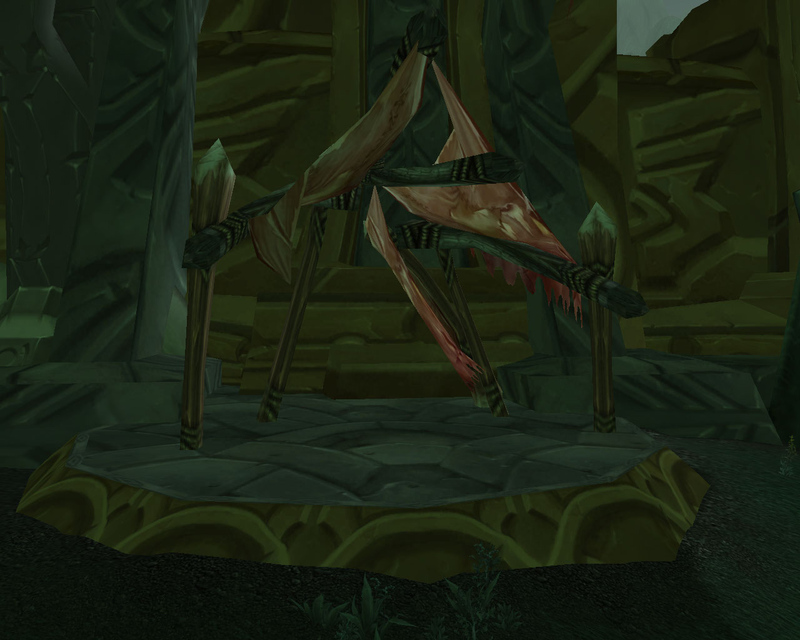 These could become especially useful in Cataclysm, you never know. The Toxic Wasteling – “Right Click to summon and dismiss your toxic wasteling. Do not feed toxic wasteling. Do not allow toxic wasteling to approach small animals. Do not touch, sniff, or even look at toxic wasteling for extended periods of time.” I want one and I’m going to feed it and let it play with critters. So what things are you looking forward to in 3.3? Now that the only remaining unconquered content is Yogg 0, its time to break out the alts. 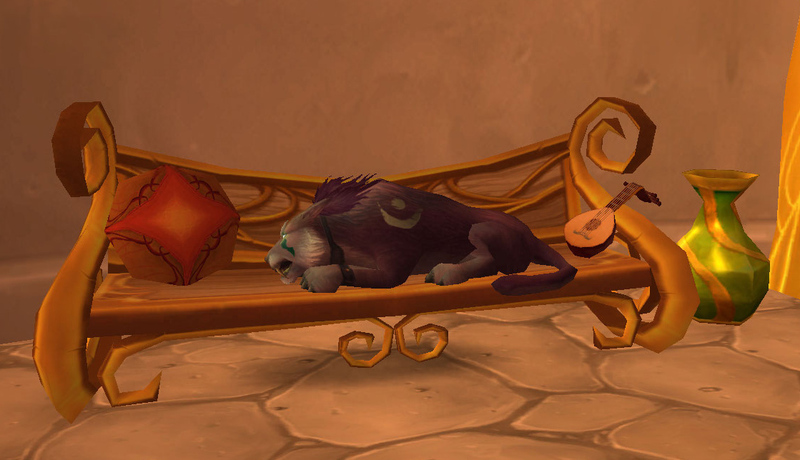 First to be transferred was my little kitty druid Briarrose. Now I haven’t really played her since the new cat/bear forms were introduced so this was the first time I had a good look at her new flash looking fur. She looks more like a domesticated house cat than a ferocious wild beast. Briarrose would be perfectly at home in Silvermoon City being dragged around on a ornate silver chain by some Bloodelf. Lying on a stack of cushions and purring for treats, extra loud for gnome snacks. Then there is the jewellery. I mean going into battle wearing necklaces and trinkets doesn’t seem like the most practical idea ever. Don’t think I’d like being strangled by my own fashion accessories and a cat wearing ankle bracelets.. come on. You enter a battleground and spot a bright pink cat. Its possible you could think a variety of things from “oh poor kitty got lost” to “lol who wants to pvp looking like a cuddly toy” and no doubt several far ruder and more critical things. However you aren’t going to be trembling in your shiny boots. No fearsome Orc warrior is going to stare down a plush toy and blink first. It just wouldn’t happen. Its bad enough when seen by itself, but when you put Nightelves and Taurens together, our shame becomes much more apparent. Tauren cats have evil written all over them and ooze bad assness from every pore. They look mean and aggressive, just waiting to rip your throat out and we look half asleep. On a slightly related note I want a tree form that looks like this, autumnal. Anyone else find it odd that the current model for the “Tree of Life” looks half dead? They should have gone for brighter colours. First order of business once I can bring myself to look at her without giggling is dealing with the epic flying raven quest line and then I need to figure out what easily craftable gear I can make myself in readiness for hitting 80.